As many of you know, I purchased a Samsung Galaxy S7 Edge from argomall Philippines around middle of this year after I heard great reviews about the company and when I learned that my good friend Mr. Karel Holub - who used to be Nokia Philippines' General Manager - is the one leading it. As an argomall buyer, I have nothing but good words to say about the company. The website looks amazing and their delivery process is top-notch. I'm actually thinking about making another purchase before the year ends and trust that I'll share the experience again with you when that happens. What makes argomall different from other online sellers, you ask? Well, the company is unique in the sense that it part of a larger conglomerate that specializes in courier services. Also, it doesn't really try to compete in terms of offering the lowest prices for devices but instead focuses on delivering happiness and convenience to buyers as reflected by its slogan. For those who are thinking about purchasing a gadget to give as gift this Yuletide Season or to celebrate the New Year, here are five reasons why you might get it at argomall. argomall is an official dealer of so many brands in the Philippines. For instance, currently, it offers more than 400 different models of smartphones from more than 25 tech companies - both local and international. Given the vast number of choices, you are sure to find the device that's right for you. 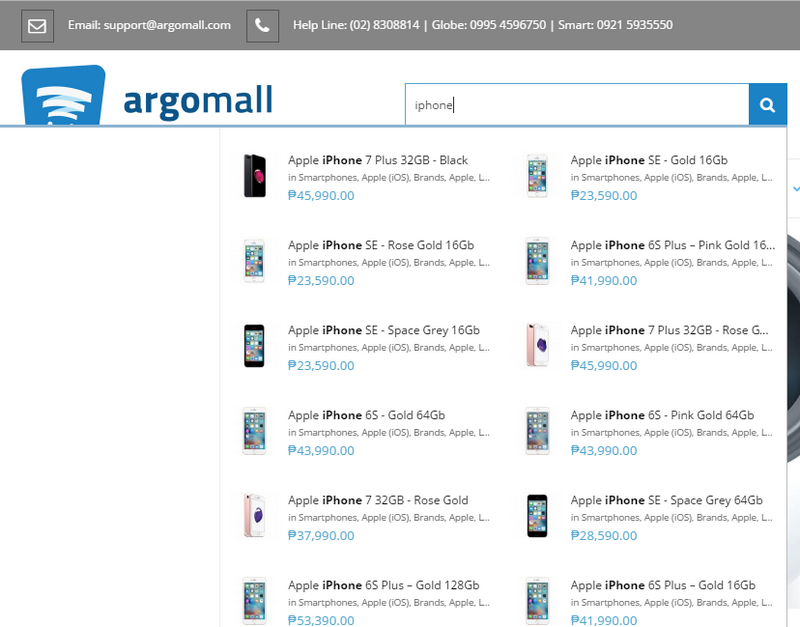 Hands down, argomall's internal search engine is one of the most intuitive and detailed that's currently available in an online store currently -- making it very easy and convenient to use. You have to try it to believe it. It even has a catalog advanced search section where you can look for devices meeting the technical specifications or price range that you prefer. You can also compare the features and specs of multiple smartphone models just by clicking a few buttons. Doing this can help you pick the best one so you can get the most value for your money. All gadgets that are being offered on argomall come directly from official channels, which means that the company is a recognized or authorized distribution outlet. argomall buyers can have peace of mind knowing that the units they get from the company have full official warranty that should come in handy should they require after-sales service. Great for those who don't want to go through the hassle of braving traffic just to go to the mall and then falling in line to buy electronics items, argomall offers nationwide free delivery and COD (Cash on Delivery) payment option. The store can even help you process an installment agreement -- thanks to its landmark partnership with Home Credit. 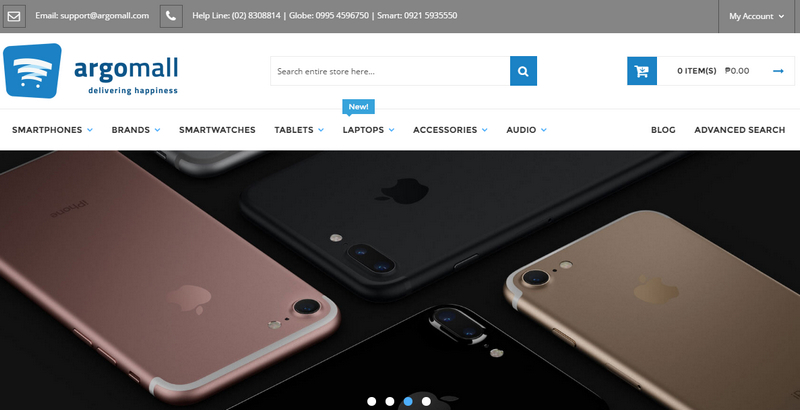 "At argomall, we understand that it can sometimes be hard to get after-sales support for our gadgets -- especially for consumers who are in the provinces. So as a value-added service, we are offering pick-up and delivery for electronics items that need to be repaired," Karel told me in our meeting. There you have it! 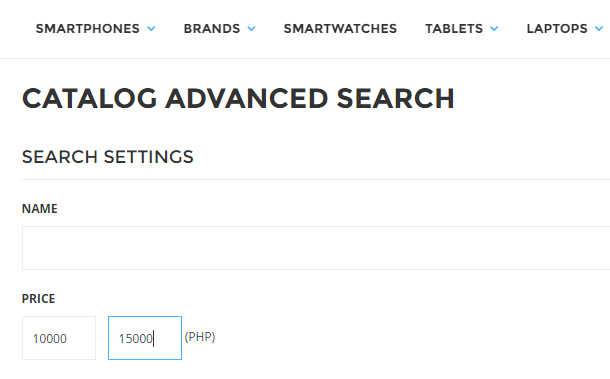 I'll wrap this up by saying that I'm glad argomall is around to make gadget shopping even easier and more convenient for all Pinoy consumers who are the reason why I still blog after all these years. It's always good to have options in everything -- especially if the options are great and worth recommending.